Douglas DeMaio today blogged of two community distributions based on openSUSE that offer the latest in KDE Plasma and Applications. openSUSE has commonly been a showcase for cutting-edge KDE builds, so this just seems fitting. In other news, the PCLOS project highlighted a community build featuring KDE 3 fork Trinity and a high-profile Ubuntu developer addressed concerns over ZFS licensing issues. The Ubuntu folks released an update to their 14.04 long term supported release bringing a new kernel and some updated packages. Speaking of Ubuntu, Matthew Garrett, software developer and social activist, today blogged about Canonical's IP policy and redistribution restrictions. Elsewhere, Bruce Byfield enumerated the advantages of Open Source Software and Douglas DeMaio announced a delay in Tumbleweed development. The top story today must be the new Meizu PRO 5 Ubuntu phone as the announcement was picked up by almost everyone. Running a close second is the news that Red Hat Enterprise Linux can now be run on Microsoft's Azure. In other news, Linus Torvalds gave a talk at TED and Bryan Lunduke suffered the backlash of an angry Neon crowd after last week's opinion of the project. Finally, Jamie Watson tested recently released Korora 23. The big story today in Linux news was the release of the long awaited Vulkan graphics API. The news was carried by just about everyone. Elsewhere, blogger DarkDuck said PCLinuxOS is "the walking dead" and a critical vulnerability in glibc has experts warning to upgrade immediately. SUSE announced SUSECon today and Charles-H. Schulz blogged about the "unusual" LibreOffice 5.1 release on this The Document Foundation's fourth birthday. LibreOffice 5.0.5 was released today for conservative users and larger organizations bring code clean-up as well as bug and security fixes. Elsewhere, Andrew Powell said no one distribution is any better than another - it's all Linux. Matt Hartley declared PCLinuxOS the best rolling release distribution and Bruce Byfield said maybe free software is too good. Slackware 14.2 is making progress as it has officially reached Beta 2. The big news of the day must be the announcement of new Ubuntu tablet Aquaris M10. This is being touted as the fulfillment of the convergence promise as the Aquaris M10 is said to be a tablet that can also be used as a really small PC or a really large phone. Today in Linux news "openSUSE 13.1 has gone Evergreen" and Bryan Lunduke was elected to its board. Clement Lefebvre reported on the first two Mint X-Apps and Dedoimedo found a distribution he likes. 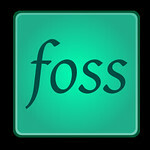 Rory Dear argued today against migrating to Linux and FOSS Force is back with their most difficult quiz yet. Today in Linux news Netcraft reported that Linux is still the dominate operating system on the Internet. Linux powered eight out of the top 10 hosting sites in January 2016. Some hardware geeks learned of a new AMD processor from our kernel changelogs and Dell teased their new Linux laptop. This year's linux.conf.au is in full swing and I love Free Software Day is quickly approaching. The top story today in Linux news was the warning not to use rm -rf / anymore. Anymore? In a bit of competition for the MintBox, the PCLinuxOS project announced a new mini computer with their OS factory installed starting at around $300. 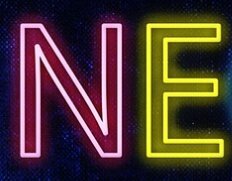 Jonathan Riddell revealed more about the new Neon project and the GNOME Foundation stated today that Karen Sandler did not bankrupt them. Today in Linux news, KDE contributor and former Kubuntu release manager Jonathan Riddel teased a new KDE subproject will be introduced this weekend at FOSDEM. In related news, Laurent Montel said, "KDEPIM/Kmail is NOT dead" despite it being "the year of Kube." ownCloud founder Frank Karlitschek today told developers to kill off screensavers once and for all. Clement Lefebvre today added some additional tidbits from early Mint 18 planning in his monthly newsletter. A few weeks ago he'd said version 18 would finally feature a new theme and today he said they would be developing new applications as well. In addition, a new mini PC featuring Mint was introduced. The Debian Publicity team is planning to hold a memorial for founder Ian Murdock who tragically took his own life December 28 after altercations with police. The event will take place during FOSDEM this coming weekend. The team has been collecting pictures, stories, and video in order to compile a short video for the event in Brussels, Belgium Saturday. Was Linus Behind LF Membership Changes? Writer journalist Vox Day speculated the other day that Linus Torvalds himself may have been behind the Linux Foundation's elimination of individual memberships from their organization. FOSS Force is back with another poll and quiz today and Eric Hameleers released an updated Slackware Live. Debian update 8.3 was announced Saturday and several reviews warrant a mention. Read more about Was Linus Behind LF Membership Changes?